One of the UK’s most endangered species not seen in the wild in Kent since the 1960’s is being given a new home in Herne Bay. A red squirrel walkthrough enclosure will open at The Wildwood Trust near Canterbury during Easter and will allow people to see the rapidly declining species before they are released back into the wild. Dan Farrow is the marketing manager at Wildwood, and he believes the walkthrough will make local people more aware of the species before they are in re-introduced. He said: “Although the red squirrel is widespread across much of mainland Europe, it has suffered a dramatic decline in the UK over the last 50 years due to habitat loss, resource competition from the introduced North American grey squirrel, and from the spread of parapox virus known as Squirrel Pox. “The Wildwood Trust has been actively involved in the conservation breeding of red squirrels for release for many years, and red squirrels bred at Wildwood formed part of the reintroduced population on Anglesey, Wales. Red squirrel numbers have fallen dramatically in the UK from highs of over 3.5 million to an estimated 120,000, with just 15,000 thought to be left in England. The introduction of grey squirrels in the 1870s created viruses and competition for the red species and is the main reason why numbers have plummeted dramatically since. 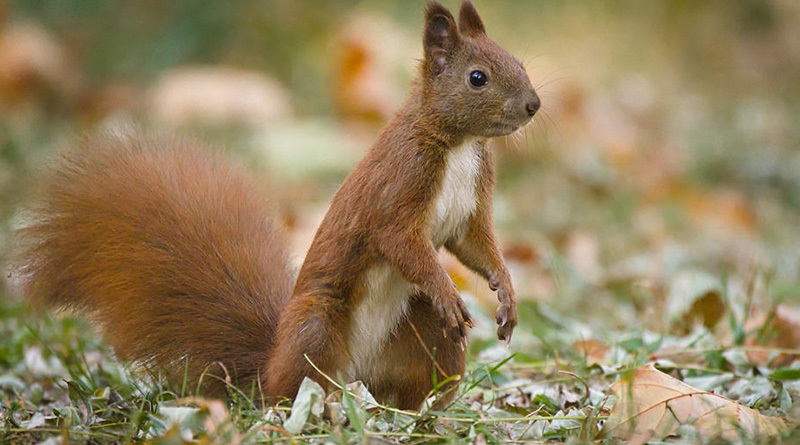 The British Red Squirrel project aim to raise awareness of the species throughout the UK by helping people get involved in schemes such as walkthrough’s. A spokesperson said: “An important aspect of red squirrel conservation is keeping them in captivity so that there is controlled breeding to provide a good population of animals for release programs or distribution to other captive populations.